The trail runs through a mixed conifer forest of Siberian Larch, Siberian White Pine and Siberian Spruce. The entire trail consists of soft organic ST covered with soft burnt orange larch needles. It is an out and back -- up on the way out and down on the way back. The Chutes themselves make up most of the route. They drop 1350 ft (410m) in just 1.25 miles (2km). They are fast and furious but soft and relatively smooth with a few fun obstacles along the way. Run them as fast as you dare. After you reach the top of the Chutes (pedaling and pushing), you can just turn around and run back down or you can take a left and keep following the ST up the mountain. It is a MUCH more gradual climb from the top of the Chutes onward. I usually continue to the first very large opening in the forest (you can't miss it). It is an exposed ridge-like area, maybe just 0.75km (1/2 mile) from the top of the Chutes. This is a good place to turn around though the trail continues. You can access many more miles of trails from here, but it is much slower going for a while. From this upper opening back down to parking lot at the camp is about 4 km (2.5 mi). It is one awesome fun ST DH. The entire route drops 1765 ft (~540m). 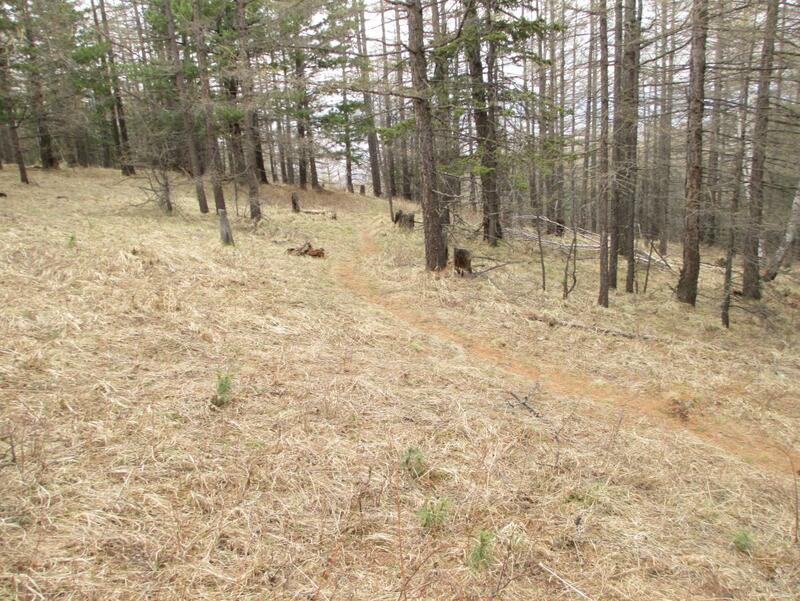 This is the first trail in Mongolia to be posted on Singletracks. I have chosen the Zaisan Chutes because it is one of my favorite trails in Mongolia. Like most trails in Mongolia, the trail actually does not have an official name. I am naming the trail, "The Zaisan Chutes" after "The Chutes" in Colorado Springs. The main chutes are just about the same length as in COS, but three times steeper and quite organic in places (unlike the Chutes in the Springs). 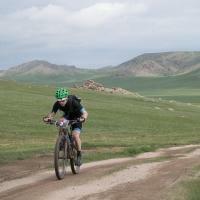 Welcome to mountain biking in Mongolia. More to come. Review: Just discovered all your great work documenting all the goodness on Bogd mountain! Nice work! My favorite way to come down this one is from the very top of the Zaisan hiking trail. It takes a good twenty minutes to get the smile off my face after this one. Review: Thanks Hutch. Trust you are doing well. "Join the party" and start adding new trails yourself. Also I'm not using a GPS. So if you are, please start adding your GPS data to the trails listed. Review: I got to ride the Chutes for the first time this year. The trail was perfect, just ever so slightly damp from the snow melt to add to the traction. There were just a couple of spots that were wet to the point of making the trail slippery. The ride was as awesome as ever. What an amazing DH. I had a bizarre experience going up. Near the top of the Chutes, I saw a big deer quickly bounding through the forest. I thought I had scared it. It was about 30 yards ahead of me when it crossed the trail. Then just seconds behind the deer, two wolves shot across the trail in hot pursuit. VERY VERY COOL !!!!!!!! im really interested in trying this trail next week but i cant find the trail. could you please provide me with a more detailed map/route on how i get there from zaisan? Review: One other great aspect of this trail is its wilderness value even though you are just a few minutes from downtown Ulaanbaatar (pop. nearly 1.5 M). It climbs through gorgeous forest and is remote and quiet. I have seen a beautiful large owl, eagles, kites, and deer. I can't wait for the first ride this spring after the snow melts. It is amazing that immediately adjacent to this trail (starting at the same location) is Zaisan Trail, on which literally hundreds of persons hike every weekend. In contrast I have only met two other parties on The Chutes, and I have ridden the trail probably seven or eight times. It is equally beautiful to the other trail; most people just do not know the Chutes exits. Zaisan Chutes Trail MTB Trail 5.00 out of 5 based on 4 ratings. 4 user reviews.